Each year, suicide claims more lives than war, murder, and natural disasters combined. Yet suicide prevention does not receive anywhere near the funding as other leading causes of death. 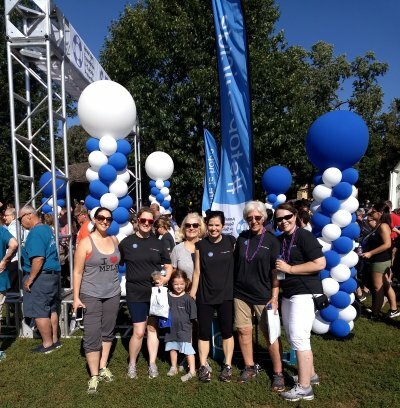 M&B Cares was pleased to be a Silver Sponsor of, and also field a team of Walkers for, the 2018 Twin Cities Out of the Darkness Community Walk in support of the American Foundation for Suicide Prevention's lifesaving work. It is up to Walkers, like us, to make a difference. Together we can change the conversation about mental health and put a stop to this tragic loss of life. The Community Walks are proof that when people work together, they can make big changes in our world.